Improved confidence in the global growth outlook dominated market sentiment on Friday with stronger risk appetite and higher bond yields. Equity markets held firm with global markets overall at a 4-month high on Monday. Defensive assets lost ground with a further dip in support for the yen and Swiss franc while the US dollar also lost ground. Commodity currencies made significant net gains with AUD/USD posting a 6-week high before a correction with EUR/USD also able to make net gains. US oil prices challenged 5-month highs before being hit by a sharp correction. Precious metals failed to gain support from dollar weakness with silver testing 2019 lows. ECB chief economist Praet stated that the Euro-zone economy was stabilising and set for a recovery during the second half of the year. He also commented that there was no need to lower interest rates and he saw no de-anchoring of inflation expectations. Bank President Draghi re-iterated that an ample degree of monetary policy accommodation remains necessary. Euro-zone industrial production data bear market expectations with the monthly decline held to 0.2% after an upwardly-revised 1.9% increase the previous month with increased confidence in the global growth outlook pushing German benchmark yields to 3-week highs which helped underpin the single currency. The US University of Michigan consumer confidence index declined to 96.9 for April from 98.4 previously with a small improvement in the current conditions component offset by a decline in expectations, although global risk trends dominated. The Euro made net headway amid hopes for a stronger global outlook with gains in commodity currencies also important as underlying dollar demand faded. EUR/USD pushed to 2-week highs above 1.1300, although it faded from the best levels above 1.1325. CFTC data recorded a further small increase in net short Euro positions to 27-month highs while overall long dollar positions increased to the highest level since late 2015. The overall positioning will maintain the potential for a squeeze if there is a significant shift in sentiment. Dollar demand remained subdued on Monday with EUR/GBP trading just above 1.1300. The Chinese trade data provided a limited boost to risk appetite on Friday as strong gains in March exports helped offset further underlying weakness in import demand and improved confidence in the global growth environment. Chinese money supply also increased 8.6% in the year to March compared with expectations of an 8.0% gain and the monthly increase in new lending was substantially above consensus forecasts at CNY1.69trm from 0.89trn the previous month. The lending data also had an important impact in boosting risk appetite and the yen continued to lose ground. Market confidence was also boosted by strong US earnings reports from the banking sector and risk appetite remained robust. US Treasuries moved sharply lower with the 10-year yield close to 2.55% and USD/JPY again challenged the important 112.00 area. The yen remained on the defensive during Monday as global risk appetite held firm and Japan’s equity market hit a 4-month high, although USD/JPY retreated slightly from 6-week highs above 112.00. Sterling gained support from stronger global risk conditions during Friday, especially when oil prices made fresh gains. Shadow Chancellor McDonnell stated that he was optimistic regarding cross-party Brexit talks. Chancellor Hammond also stated that a second EU referendum was likely to be put to parliament at some stage. There were, however, further concerns over sustained political uncertainty, especially with no immediate prospect that parliamentary deadlock would be broken. There were also concerns that a General Election would have to be held, especially given Prime Minister May’s extremely weak position. In this context, there were fears that prolonged uncertainty and financing issues from inventory building would further erode the near-term economic outlook. Overall implied volatilities declined sharply, but with limited buying support. EUR/GBP made net gains to the 0.8630 area while GBP/USD failed to hold above 1.3100. There were no major political developments over the weekend with GBP/USD trading just below 1.3100 as oil prices slipped. The Swiss currency registered net losses during Friday with greater confidence in the global economy curbing defensive franc demand. US and German bond yields also increased which undermined the Swiss currency. EUR/CHF pushed to 3-week highs around 1.1340 before being hit by a limited correction while the dollar found solid support close to parity amid Swiss selling on rallies. National Bank Chair Jordan reiterated the threat of intervention and there was little franc change on Monday with USD/CHF holding above 1.0000, although it was unable to extend gains. Stronger risk conditions were important in boosting the Australian dollar during Friday with gains amplified by a generally weaker US currency. AUD/USD pushed sharply higher to a peak around 0.7190 before correcting to the 0.7170 area. Overall risk conditions held firm on Monday which underpinned the Australian dollar and AUD/USD consolidated around 0.7175. The Canadian dollar was also boosted by a weaker US currency and declined to test the 1.3300 area as oil prices pushed to near 5-month highs. Oil prices were, however, subjected to a retreat and USD/CAD failed to break below 1.3300 which triggered a correction. Overall risk sentiment held firm on Monday with USD/CAD around 1.3325 on Monday as crude continued to correct lower. Scandinavian currencies secured an element of support from solid global risk appetite on Friday. After limited losses, the Norwegian krone was able to regain ground later in the session as improved confidence in the global growth outlook underpinned demand for the Norwegian currency with EUR/NOK dipping below 9.60 as the Euro lost ground. There was little change on Monday with EUR/NOK just below 9.60 while USD/NOK trading below 8.50. The Swedish krona lost ground ahead of the New York open, but EUR/SEK hit resistance below 10.50 and retreated to near 10.46 with little change on Monday. Improved confidence in the global growth outlook underpinned Euro-zone equites during Friday. The German DAX index gained 0.5% with a stronger gain of 0.8% for the Italian FTSE MIB index. Major UK stocks were hampered to some extent by GBP/USD gains, but there was a greater mood of confidence in the global outlook and crude traded stronger at the European close with an FTSE 100 index gain of 0.25%. US equities were boosted by strong earnings data from the banking sector which helped underpin confidence and risk appetite held strong. With robust sentiment, the S&P 500 index gained 0.65% to fresh 6-month highs. Overall sentiment held firm on Monday with increased confidence in the growth outlook. Japan’s Nikkei 225 index gained 1.4% to 4-month highs as the yen maintained a soft tone, but there were marginal losses for the Australian ASX index as energy prices corrected lower and gold remained under pressure. 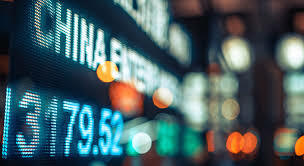 China’s Shanghai index strongly in early trading, but faded later in the day to trade 0.4% in late trading with a 0.25% gain for Hong Kong’s Hang Seng index. Crude was boosted by stronger risk conditions during Friday and a weaker US dollar. WTI pushed to highs near $64.50 p/b, but there was a sharp retreat after the European close as the market was hit by profit taking. There were also expectations that Russia could boost output which dampened sentiment and WTI dipped below $64.0 p/b. Baker Hughes data recorded a small decline in US oil drilling rigs to 1022 from 1025. CFTC data recorded an increase in long, non-commercial crude positions, maintaining the risk of sharp corrections. Oil prices remained weaker on Monday with WTI testing support below $63.50 p/b while Brent traded around $71.40 p/b. after briefly hitting 4-month highs above $71.80 p/b on Friday. Gold was unable to make any significant headway on Friday even when the dollar retreated sharply as firmer risk conditions undermined sentiment. Prices were unable to break above $1,295 per ounce and retreated to near $1,290 at the US close. CFTC data recorded a net increase in long speculative positions, maintaining the potential for position liquidation and gold traded just below $1,290 on Monday. Silver remained on the defensive and declined to 2019 lows just below $14.90 per ounce and failed to recover on Monday. Cryptocurrencies were underpinned by a weaker US dollar during Friday. Bitcoin sentiment was boosted by the ability to hold above the $5000 level. Weakness in precious metals also helped boost cryptocurrency confidence. CFTC data recorded a further limited increase in the net short, speculative position. Trading conditions were initially choppy during the weekend, but support gradually strengthened on Sunday with bitcoin advancing to highs around $5180. Ether also advanced to highs around $170 before consolidating below this level.